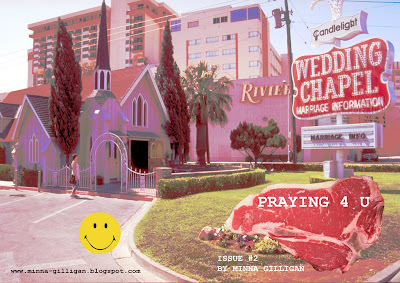 Issue #2 of my Zine is completed! It's bigger (by 2 pages) better (comparatively) and has a smiley face on the back cover. Ahh so tomorrow I am printing more copies, and dropping them into Sticky Institute in the Degraves St underpass. You can also contact me on my email address minnagilligan@hotmail.com if you want to buy a copy through me :) They are $3 girlfriends and boyfriends!